Jharkhand assembly, on November 23, passed an amendment to century-old laws which restrict use of tribals’ land for industrial and real estate use amid protest inside and outside assembly. The two land acts of the state—Chhotanagpur Tenancy (CNT), 1908 and Santhal Pargana Tenancy (SPT) Acts, 1949— have been amended to easily transfer the land for industrial use which would cause mass displacement. The proposed amendments have been passed without any discussion. According to an estimate, around 20 per cent area of Jharkhand had been diverted for development work mostly for mines and dams since Independence. It caused displacement of around four million tribals. Thousands of tribals from across the state hit the roads of state capital demanding scrapping of proposed amendments. Police resorted to lathicharge and teargas to quell the protest. Activists termed it a ‘black day’ in the history of Independent India. “Aaj Jharkhand ke Itihash me kala din hai (Today is a black day in the history of Jharkhand),” says Dayamani Barla, a tribal activist also known as the ‘Iron Lady’ of Jharkhand. Earlier, in May, chief minister Raghubar Das had brought ordinance for the change. In November, the proposed amendments were also passed in Tribal Advisory Council. Why are tribals angry over proposed change? Land is at the core of tribal societies’ survival. As per the customs of Munda and Santhal tribals, the ownership of land belongs to all the families of the same killi (clan), who cleared the forest and made land cultivable. This age old custom provides an identity of being a Munda or Santhal and their country. The British fought many wars against tribal of Chhotanagpur and Santhal Pargana for almost 100 years. 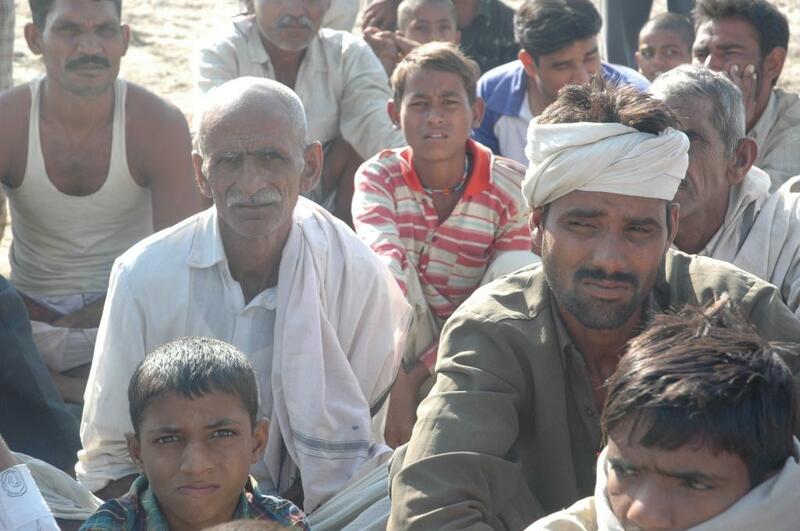 They were unable to deal with continuous grievances of tribal against usurpation of their land rights. With the passage of time, the violence started getting lethal and spread like wildfire. It led to killing of thousands of tribals. The violence in Santhal Pargana came to halt after British came up with a different district administrative set up in 1855 to appease Santhals and redress their grievances. It had helped strengthening the sense of security among the tribals about their homeland. This different administrative set up culminated into separate act in 1949 as the SPT Act. Whereas, with the enactment of the CNT Act, the British tried to end the simmering discontent among the general population of Chota Nagpur Plateau. Given the fact that people of Chota Nagpur were greatly attached to their land assets, the CNT Act 1908 went a long way in establishing peace in the region. “Both the Acts were a kind of peace treaty which British had made with them,” says Sanjay Basu Mallik, a Ranchi-based tribal rights activist. “Both the acts were assuring tribals that they won’t be alienated from their rights over land and village forest and community land,” adds Malik. What do the ordinances suggest? In May 2016, the Jharkhand government issued two ordinances—The Chhotanagpur Tenancy Act 1908 (Amendment) Ordinance, 2016 and The Santhal Pargana Tenancy Act, 1949 (Amendment) Ordinance, 2016. According to the proposed amendment, the nature of agriculture land of schedule tribe, schedule caste and OBC will be changed for the use of industrial and commercial purposes. Under the SPT Act, both urban and rural lands are not transferable, whereas the CNT Act allows transfer of land within same caste and within geographical limits with approval of district collector. Both the acts are under ninth schedule of the constitution and are kept outside judicial review with the sole intent of early and effective implementation and protection of lands of STs, SCs and OBCs. With this ordinance, government diluted the laws and made tribal land freely transferable and marketable through backdoor. Both the ordinances incorporated a provision in each of the Act: 21(B) in the CNT Act and 13(A) in the SPT Act. The provision allows state government to frame rule time to time for non-agriculture use of the land in given geographical areas. “The ‘time to time’ framing of rule in particular area clearly shows malafide intention of state government,” says Stan Swamy, a Ranchi-based social activist who works for tribal rights. The government will also amend section 49 of the CNT Act in which it would add ‘other usage’ besides listed non-agriculture uses like road, railways, canal, cable transmission, water pipes and other service like school, college, panchayat building, hospital and anganwadi. “The extension of the listed use and intended purposes in sub-section 49(1) (C) are clearly for real estates, educational institutes and hospitals under private or PPP model,” says Swamy. With these proposed changes, the state government has been boasting of overall improvement of investment climate. The state has also improved its position in World Bank’s ‘ease of business’ ranking. So, it has started wooing private investors across the globes for upcoming investors’ summit in February 2017. The chief minister himself had been doing road shows in cities such as Mumbai, Bengaluru Hyderabad, Kolkata and Delhi. The top bureaucrats have been contacting 45 foreign embassies and flying to western countries. As per government’s own estimates, the target is to bring investment of around Rs 2 lakh crore. The government boasts of availability of 334,207 hectares of land banks in 10 districts of states which is almost five per cent of total area of the state. This land bank is almost more than twice the geographical area of the national capital and almost equal to the size of Goa! These lands included government’s land and forest land. Areas such as Adityapur, Bokaro, Ranchi and Santhal Pargana Industrial Area have a large chunk of such lands. “All the land listed in April 2016 for industrial purpose is owned by the government,” says Rajeev Ranjan, director, department of Land Revenue, Registration and Land Reform. Moreover, addressing industrial tycoons during road shows in Mumbai in September, CM Raghubar Das claimed having an additional land bank of 71,000 ha after the amendment of the CNT and SPT acts. “Recently, Jharkhand CM stated in Mumbai that an additional land bank of 71,000 ha is available with state government. Certainly, he has been indicating of availability of land in CNT and SPT area” says Swamy. “Perusing the details of ‘Land Banks’ in Khunti District,(as an example), which is a Fifth Schedule area, and Mundari Kuntkatti area, one finds practically all the land except the family-patta land has been earmarked as gairmajurwa (Government land) and allotted to Land Bank!” adds Swamy. The state government arrived at a conclusion of this additional 71,000 ha of land available in CNT and SPT area after doing a trick and penetrating into their area. These areas are affected by left wing violence and inaccessible to the state government. “Last year, the state government had started a scheme of making plan at village level after engaging civil society at village and panchayat level through which the government was able to survey the area at macro level,” says Faisal Anurag, a Ranchi-based senior journalist, writer and activist. “Youths of these villages were engaged in making village level plan,” he adds. Those who participated in making Yojna Banao Abhiyan a success are now realising the trick.“We were excited over making plan a success as we thought that development would come to our land. We were told that this planning is a part of the exercise to help government understand how it can contribute to the development of the land. That way, they got the details of availability of community land, mountain, rivulet and forest,” says Sameer Tapon, a tribal youth from Khunti. He is on the run after police booked him for protesting the dilution of the CNT and SPT Acts. “We want our participation in development over our land instead of selling it,” he adds. Another tribal activist Tarkan Munda, 35, of Kurapurti village says, “We are ready to give our land for hospital, roads, government building. Even after that we are called anti-development. We never protested when government made four-lane roads, hospitals and schools.” Munda has been making tribals of different villages aware about the CNT Act. According to an estimate, around 20 per cent area of Jharkhand had been diverted for development work mostly for mines and dams since Independence. “Since Independence, 1.6 million ha of land out of total eight million ha of state area was diverted for different mines and dams which caused displacement of around four million people, mostly tribals, between 1947 and 2012,” says Swamy who has done extensive research on displacement in Jharkhand. If the current land bank is included, this figure would go up to 25 per cent of total area of the state. Meanwhile, another assessment of displacement of people puts the figure much higher. “Recently, Bihar chief minister Nitish Kumar had quoted figure of displaced at around 7 million,” says Anurag who had drafted a background research paper for Kumar. First chief minister of Jharkhand, Babu Lal Marandi, who heads JVM, also demands re-thinking acquisition method in CNT and SPT areas. “You can’t apply age-old mentality of land acquisition in tribal area which has always been hesitant to embrace non-tribal world,” says Marandi. Government must come with specified rule with the amendment . time to time changing rules is unethical it gives complete power to one institution.